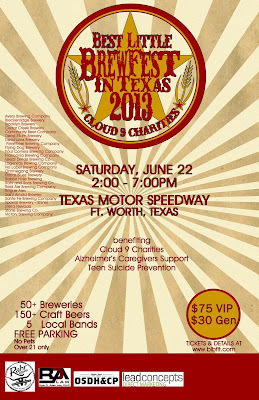 The Best Little Brewfest in Texas is a Craft Beer Festival held at the infield garage of Texas Motor Speedway in Ft. Worth - the ideal venue for anyone who loves craft beer. 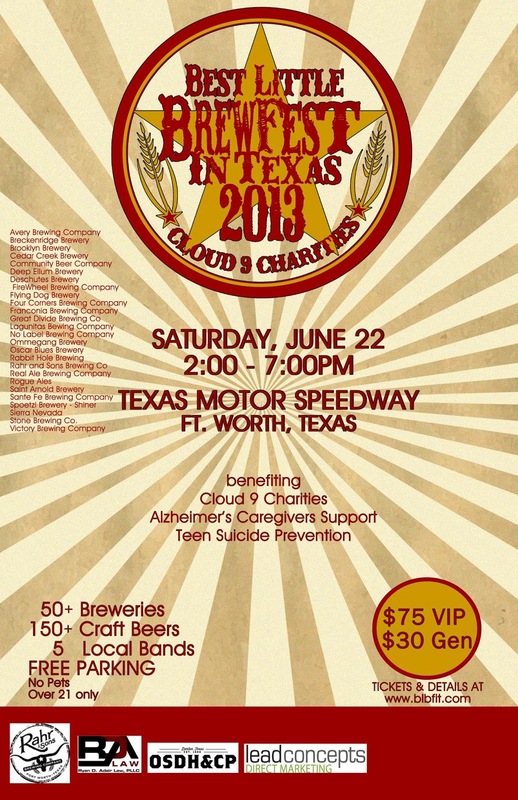 Our Brewfest exists to provide an opportunity to sample and learn about a variety of craft beer from Texas while making a HUGE impact in our local community supporting [the] Alzheimer’s Association and Teen Suicide Prevention. [Fully] 100% of the proceeds from this event will be donated to these two wonderful organizations. More than 50 craft breweries from all over Texas will be present with 100+ handcrafted brews to serve thousands of beer lovers at this event. Special releases, firkins, “one-offs” and new seasonal brews will be highlighted. Our focus is on craft beer and making a difference. There is more than sampling involved. The Best Little Brewfest in Texas features live music, beer-friendly vendors, memorabilia, and an assortment of food for purchase. The VIP section is limited to 500 guests and includes snacks, premium beer, fast entry, convenient parking and more. Sponsorships are available and volunteers are needed!